Elinor Lewis with Nuria Legarda Andueza. Photography by Ludovic Descognets. In 2018, Orchard's second phase of creation was commissioned by The Place as part of Choreodrome 2018 and funded through an Arts Council National Lottery Grant. 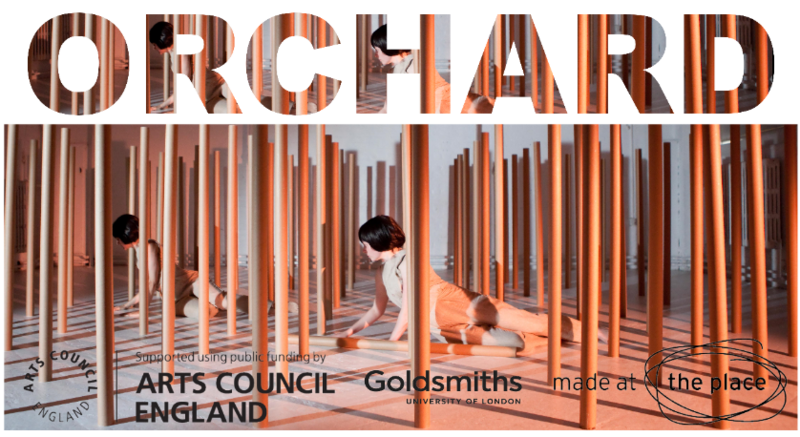 Orchard is supported by The Place, Aerowaves Twenty19 & #SWDancing2019. Currently a work in development, TIMBER began as an investigation into how an audience's perception can be subverted so that objects are perceived to have autonomy equal to that of the performers. 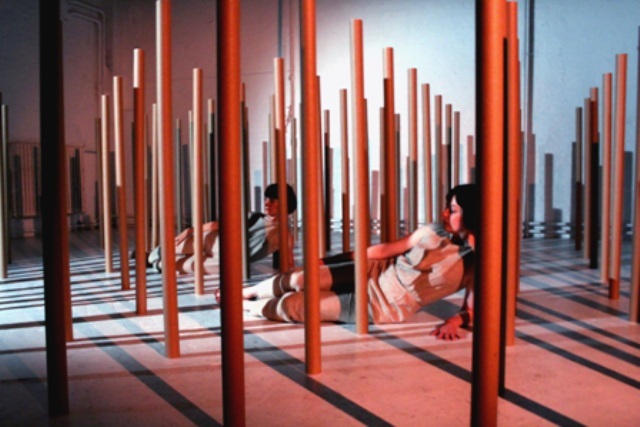 Scrutinising the interplay between monotony, rhythm, suspension and risk, TIMBER has become a spatial choreographic study: one where animate and inanimate forms are used as players in a hypnotic composition. Artsadmin as part of BANNER 2018, Rich Mix as part of a shared double bill with Tate n Lyle, 2018, The Place at Touch Wood 2018 & The Place at Dance Umbrella Studio Sessions 2018. This summer/autumn TIMBER will undergo a second phase of creation. 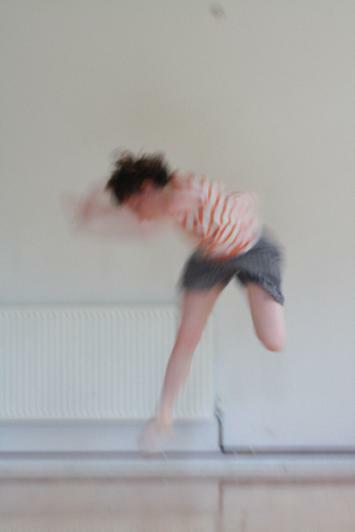 This period of research & development is supported by residencies with The Place through Choreodrome 2019, The Wellcome Collection & Pavilion Dance South West. Elinor Lewis with Hannah Parsons. Photography courtesy of Greg Goodale & Tom Elkins. Six Doors to Six Beds uses six rectangular frames to explore the disposable nature of city living. 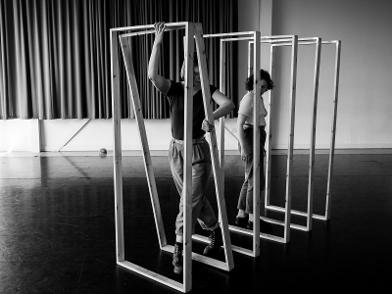 Throughout the piece, the performer systematically completes the task of balancing the frames in the space, before defiantly knocking them to the ground, like a flimsy set of dominoes. The piece explores how, for many people, the time constraints and financial implications of city life can cause a deterioration of the comprehension of Home. Within a city patterns of transience are the norm, so that few spend enough time in their city homes to appreciate their comfort. Home is reduced to little more than a door to a bed. Elinor Lewis. Photography courtesy of Thutuka Sibisi. Aural.Effect. is a thirty minute sonic driven movement improvisation Elinor Lewis created in collaboration with audiovisual artist and 2014 Bloomsberg New Contemporary Jessica Bunyard. The solo explores the politics of spectatorship by challenging the audience to experience a predominantly visual performance form through hearing alone. Performed in January 2017 at The Bluecoat, Liverpool on invitation from INHABIT. Elinor Lewis. Photography courtesy of Jessica Bunyard. Or And is a performance art piece that looks at Eisenstein’s use of cinematic montage in Battleship Potemkin. The piece is primarily an investigation into whether montage can be achieved live on stage to isolate fragments of escalating human action. Or And exposes the escalating struggles of four vulnerable characters, each isolated from one another within their own pool of light. 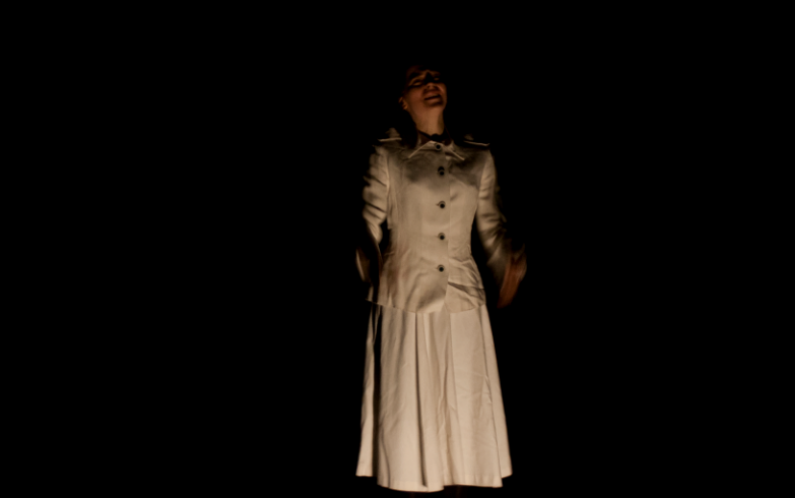 Each character's pool of light is intermittently switched on or off throughout the performance, juxtaposing the escalating action of different characters. Performed in The George Wood Theatre, London December 2016. Elinor Lewis, Alphina Wu, Beatrice Benedek, Curt Parr & MJ Ashton. 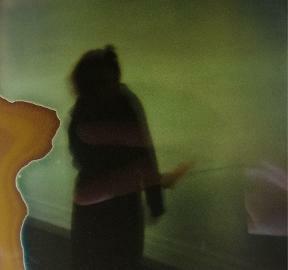 Photography courtesy of Ana Vincente. 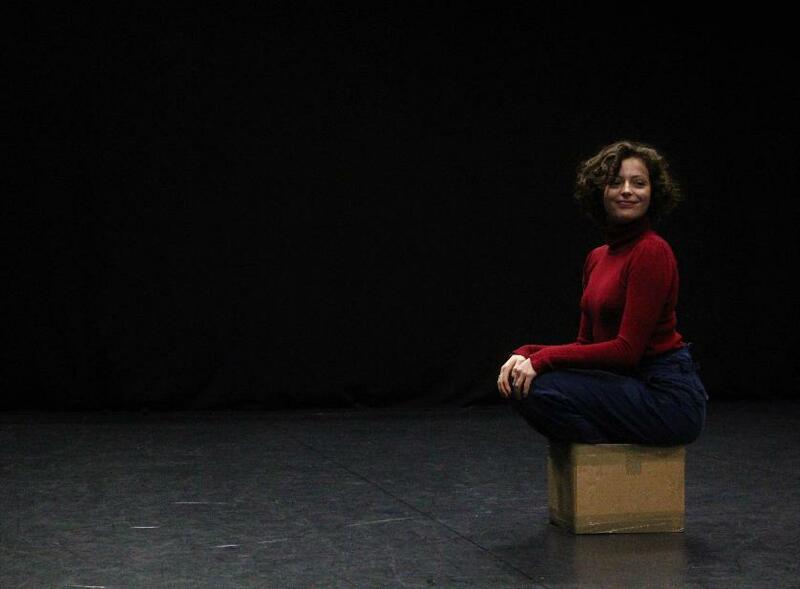 Box is a movement performance piece, a playful investigation into limitation and the assimilation of object into body. The piece was performed in a studio sharing at Goldsmiths College, London in November 2016. Elinor Lewis. 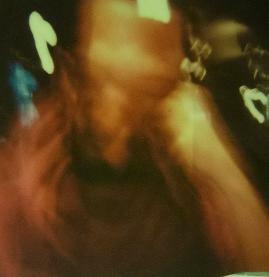 Photography courtesy of Sarah Dufayard. Elinor Lewis contributed a filmed choreographic component to jewellery artist Margherita Potenza's installation exhibition Horizontal Theory. The contemplative fifteen minute solo compliments the serenity of the installation which is based on a critique of the dysfunctional mechanics of contemporary existence. Exhibited at the Royal College of Art in July 2016 and featured in Adbusters Magazine in September 2017. Elinor Lewis. 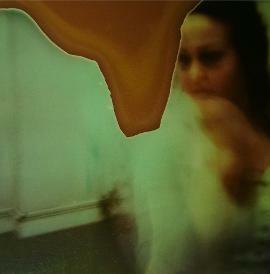 Photography courtesy of Margherita Potenza & Sophie Vitelli. Elinor Lewis co-founded HUIS CLOS with Beatrix Joyce and Deborah Gaugerenques in December 2014. HUIS CLOS was an initiative that supported emerging artists. 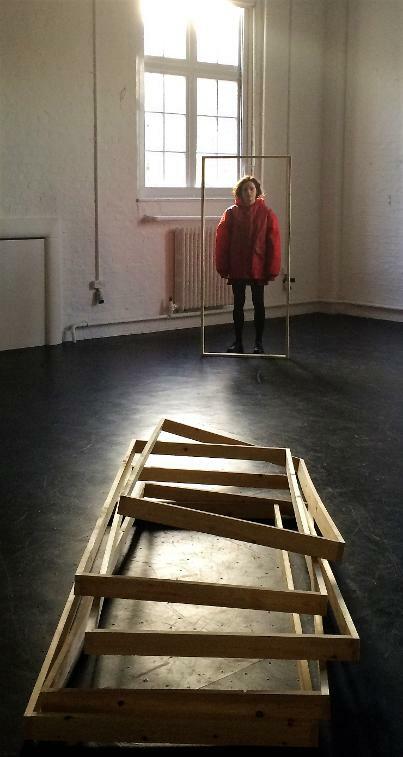 The platform organised and promoted the creation of four new interdisciplinary collaborations, culminating in a four day London exhibition at hARTS Lane Studios, May 2015. Graphics courtesy of Deborah Gaugerenques & Eloise Harris.  Session I is a photographic series of portraits that explores how chance and analogue film deterioration effects the way the subject is perceived. 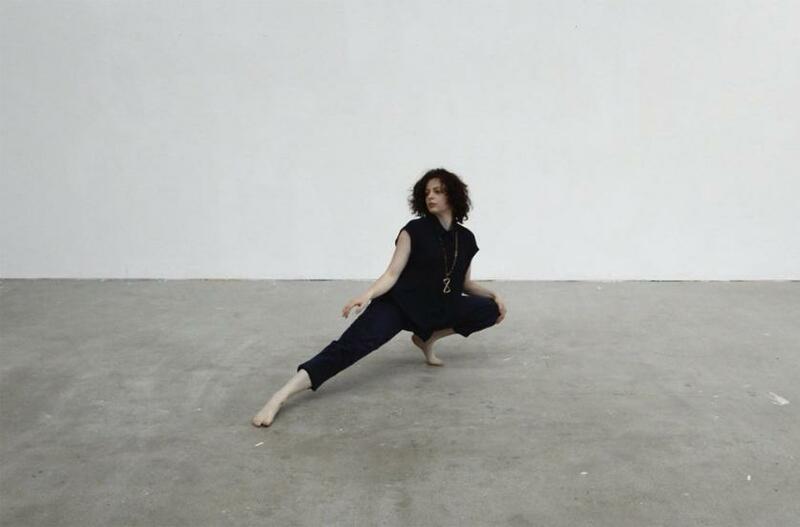 Eeva Processes Information is a 20 minute choreographic study that explores the self as a conduit for human experience and was performed at The Bonnie Bird Theatre, London April 2013 and Abeerance, London October 2014. Eeva Juutinen. Photography courtesy of James Keates.